Seriously?! 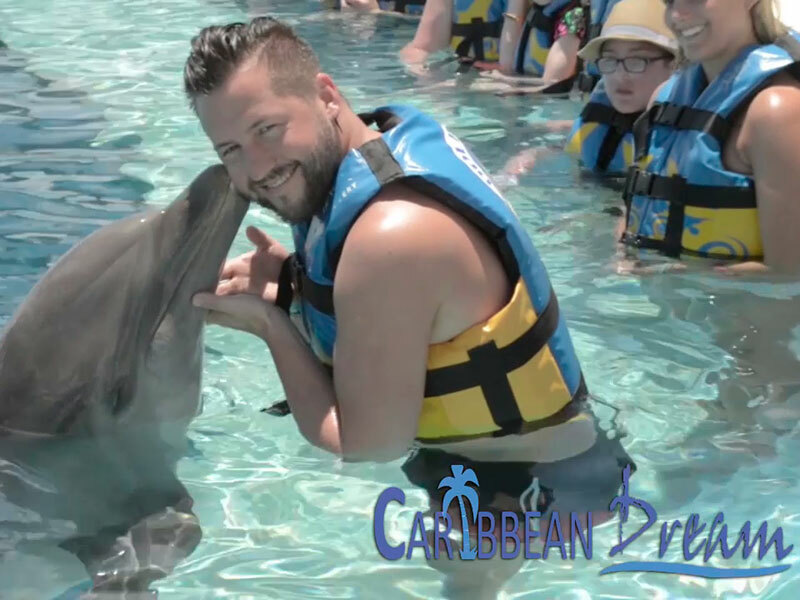 Who doesn't like Dolphins? Interacting with Dolphins is one of the most memorable experiences you'll create in your lifetime. The Dolphin's intellect, beauty and agility is simply remarkable; and our hope is this excursion will create a greater appreciation and respect for these majestic marine animals. 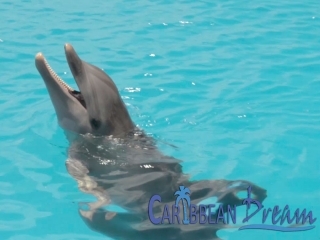 A multi-million gallon Dolphinarium is the setting for this exclusive tour. 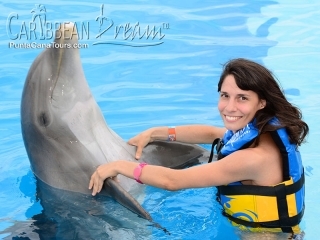 So, jump in the Dolphinarium and fear not! 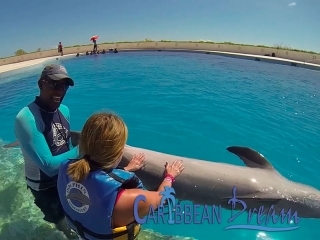 No swimming experience is necessary on this option and these are trained Dolphins! They're gentle giants and the experience is without comparison. As you stand on a submerged platform, One Dolphin will interact with your small group of max 12 persons for 50 minutes! And what will you do? 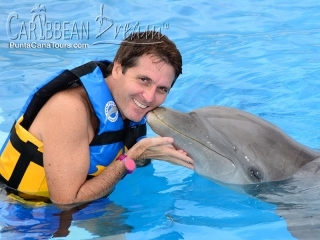 Kisses and hugs: You kiss the Dolphin and you get a kiss back - awwww. A dance and a handshake: Well not quite a handshake but rather a fin shake! Belly rub: The dolphin will swim by and you rub their belly! They normally enjoy this part the most. 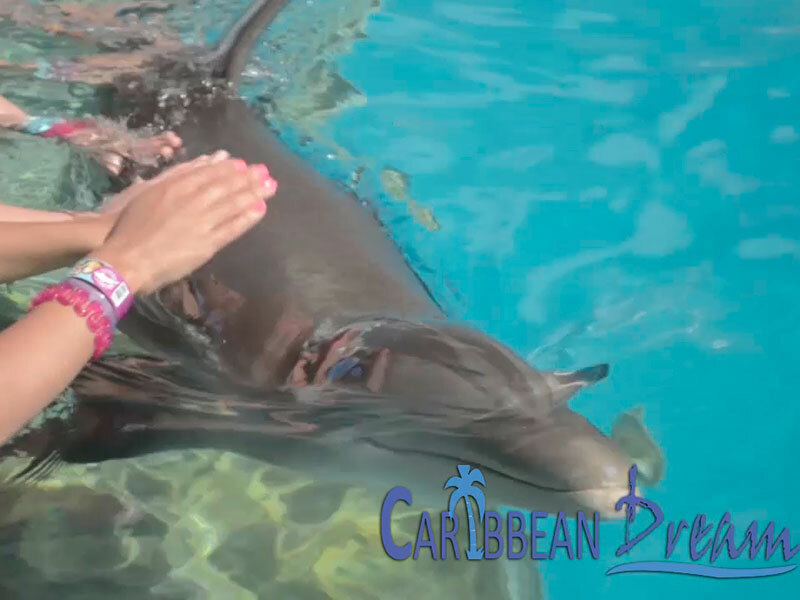 A better understanding: Learn about the dolphins anatomy, habitat and their common diet list; fortunately humans are not on that list! Our Dolphin Swims are intimate tours with strict limits on the amount of participants. Book your spot in advance to guarantee availability. Join us to interact with Dolphins in Punta Cana and garner a greater respect for these intelligent mammals of the sea. 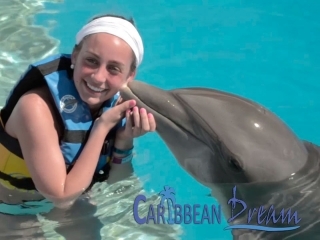 No cameras are allowed in the dolphin area, you may purchase photos separately. Kids under 6 are free and pregnant women up to 5 months are permitted. 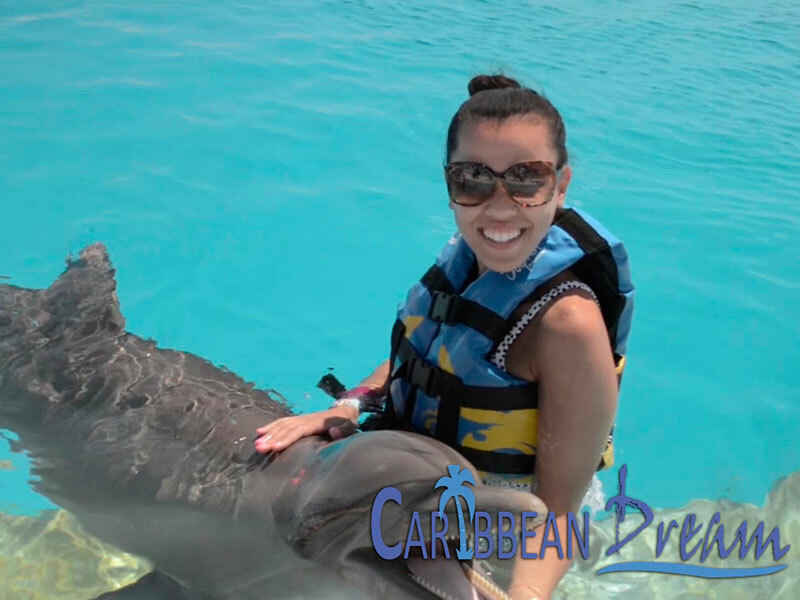 Punta Cana Tours is dedicated to the quality of our products and we can assure our clients that the animals used in this excursion are cared for with some of the strictest standards in the Caribbean. Kids UNDER 6 are free but must be accompanied by an adult. There will be 1 dolphin per group of 15 people. 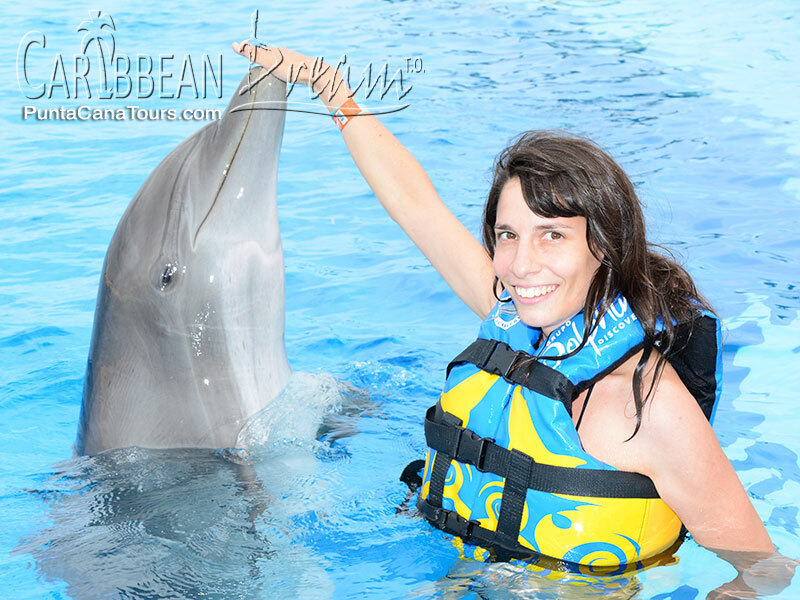 Includes an orientation and 40 minutes interactive swim with the dolphin. If you wish to go along as an observer ONLY, this is for you. 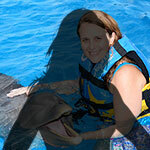 You will have access to the park, but you will not be able to participate or swim with any of the dolphins. Great day on the water for our wedding guests!